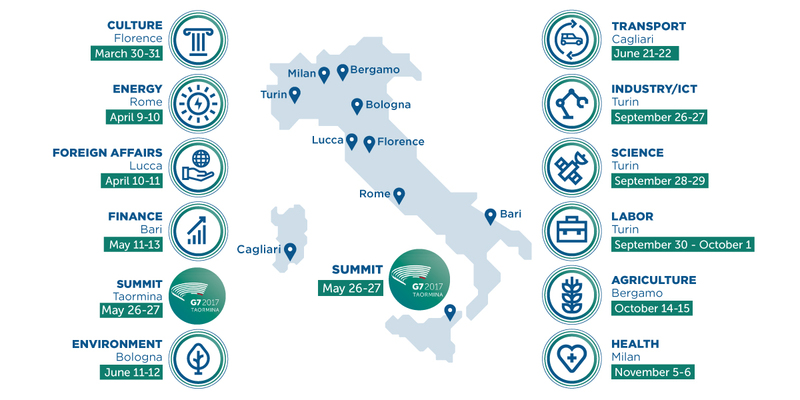 The Italian G7 Presidency adds a new event to its agenda: the Ministerial Meeting on Transport will take place on June 21 and 22 in Cagliari. The event will be attended by the Transport Ministers from Canada, France, Germany, Italy, Japan, the UK and the US, as well as the European Commissioner Violeta Bulc. The two main topics of the meeting will be the social impact of infrastructure and advanced technologies for cars and roads. Transport plays a key role not only in making travel and movement possible for all, but in reducing the risk of social exclusion. Accessibility implies not only connections, routes and access to infrastructure for the disabled or for people with lower incomes, but also security for the most vulnerable social groups. The second topic to be addressed by the Ministerial Meeting - advanced technologies for cars and roads - is related to the need for careful planning that can empower experts and administrators with regard to social issues. In an effort to make roads safer, the focus will be on technological developments that also promise to make vehicles the engines of new economic development.